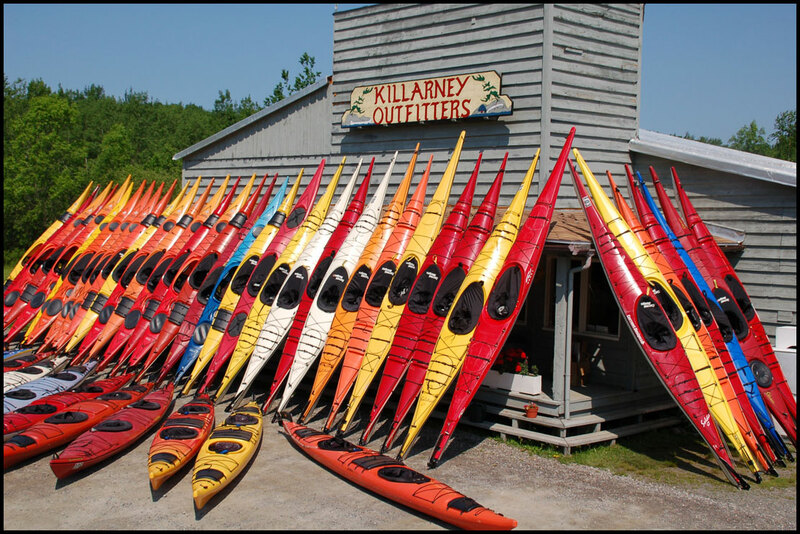 Killarney Outfitters, Killarney Provincial Park canoe and sea kayak rentals. 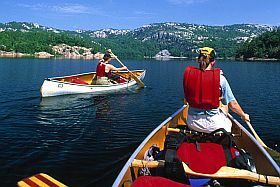 Killarney Provincial Park canoe & kayak rentals and outfitting packages just 4.5 hours north of Toronto, Ontario Canada. Hike the Crack, Killarney Provincial Park - Paradise Found! 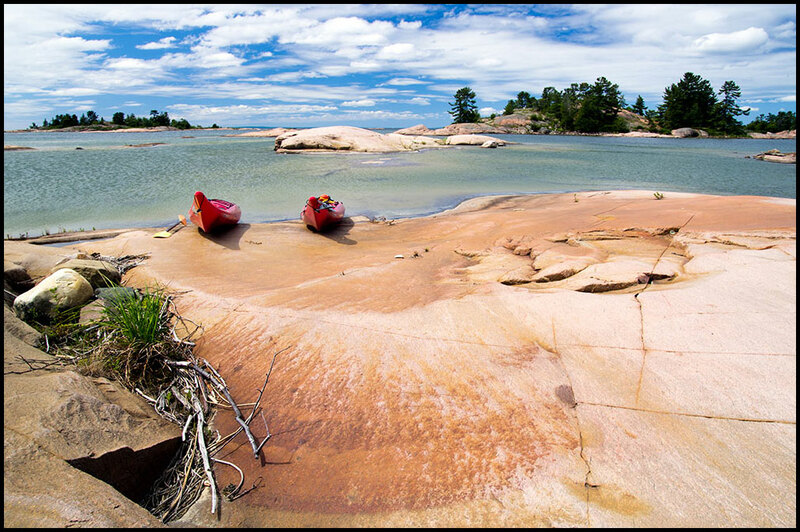 Killarney Country is big, wild and unspoiled. 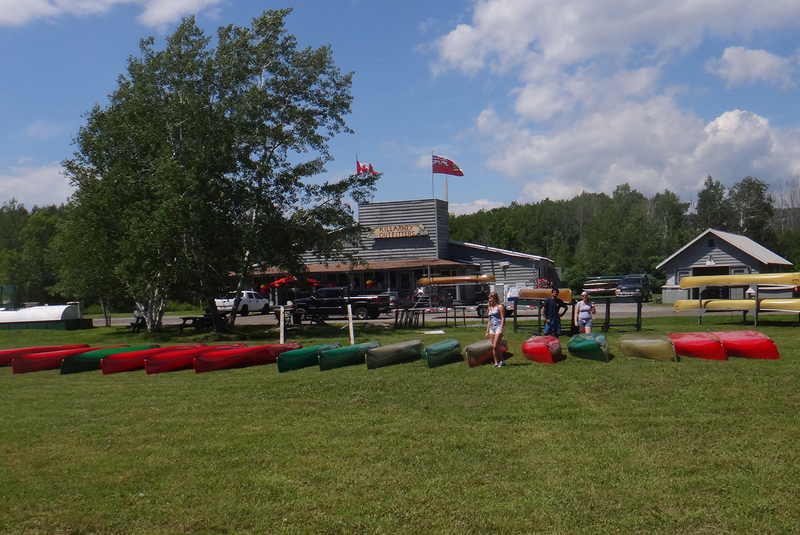 Until the 60’s you could only reach us by canoe or steam ship. 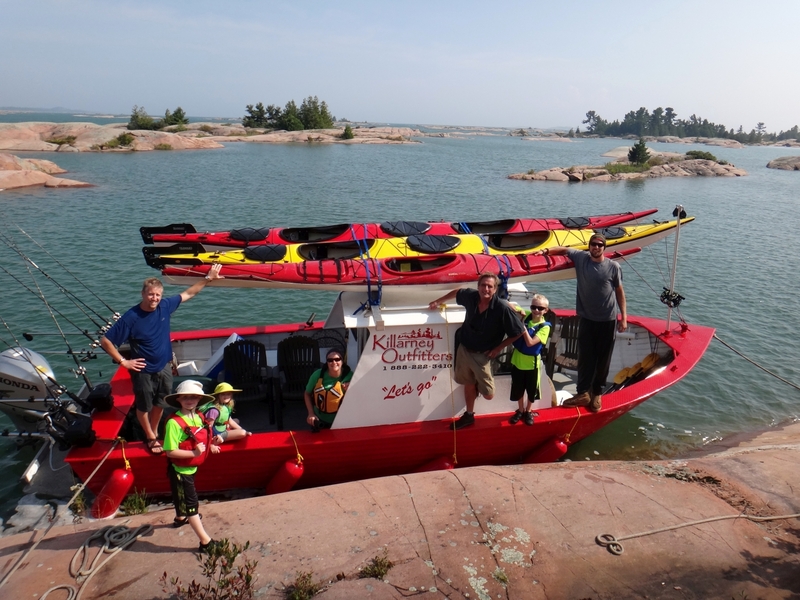 Now Killarney is an accessible wilderness. 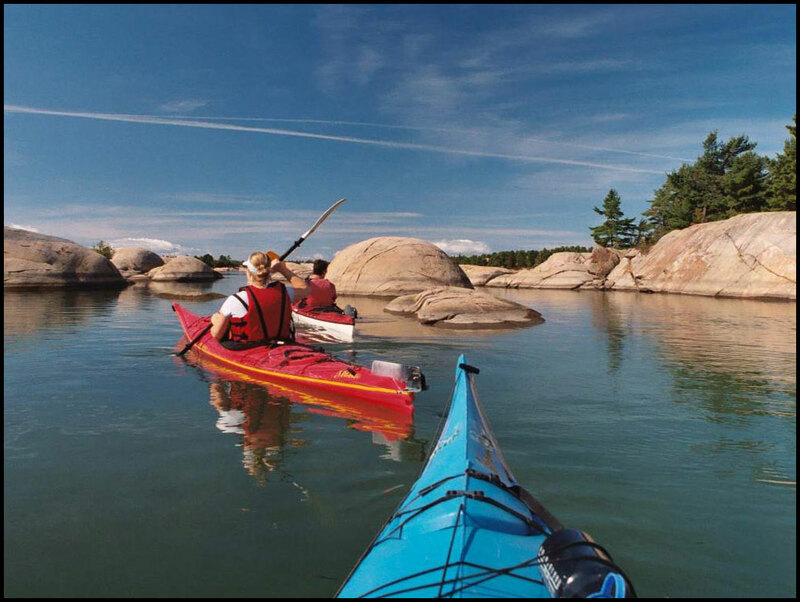 This remote coastal village of northern Georgian Bay was recognized in 1820, making Killarney, northern Ontario's oldest community. 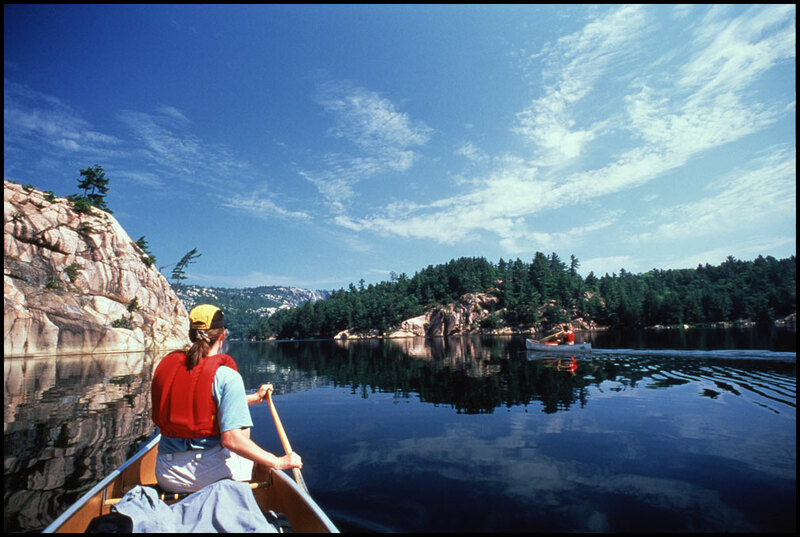 Killarney is smack in the middle of Ontario's most diverse and unique ecosystem, a true Wilderness Paradise. 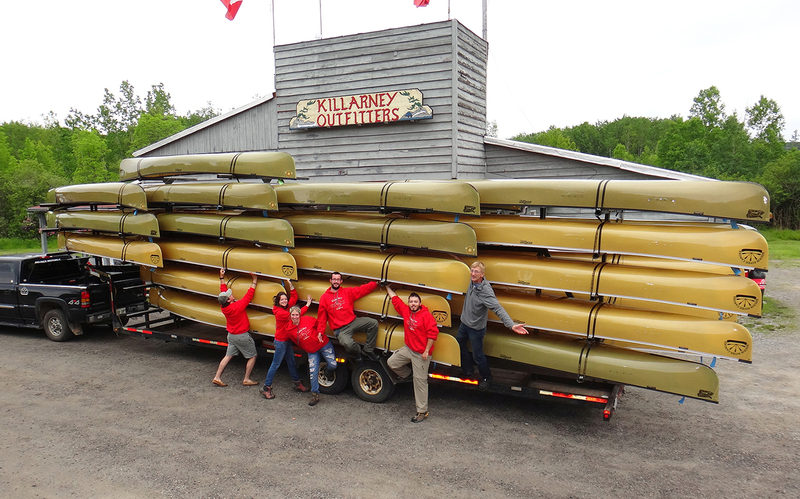 Killarney is just 4.5 hours from Toronto, Ontario. 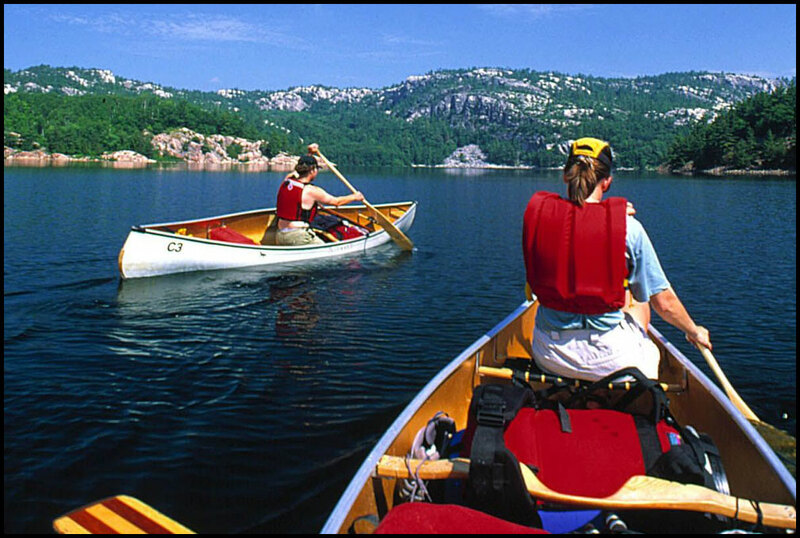 Our rental canoes are available directly from either the Bell Lake access; or the main canoe beach at Killarney Park. 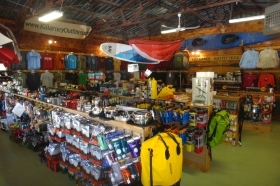 Our outdoor adventure store stocks and rents, functional and useful camping gear at competitive prices; SealLine, Marmot, MSR, World Famous, Chinook, Sierra Designs, TEVA, Vaude, Lolë, Primus, Brunton, Backpackers Pantry premium freeze-dried food, Killarney Provincial Park maps, dry firewood and much more. 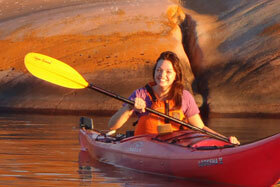 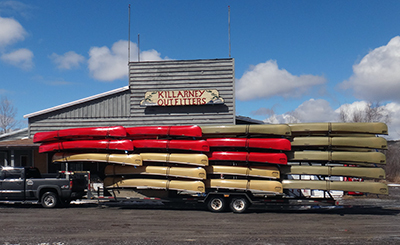 Killarney Outfitters rents 17' expedition sea kayaks. 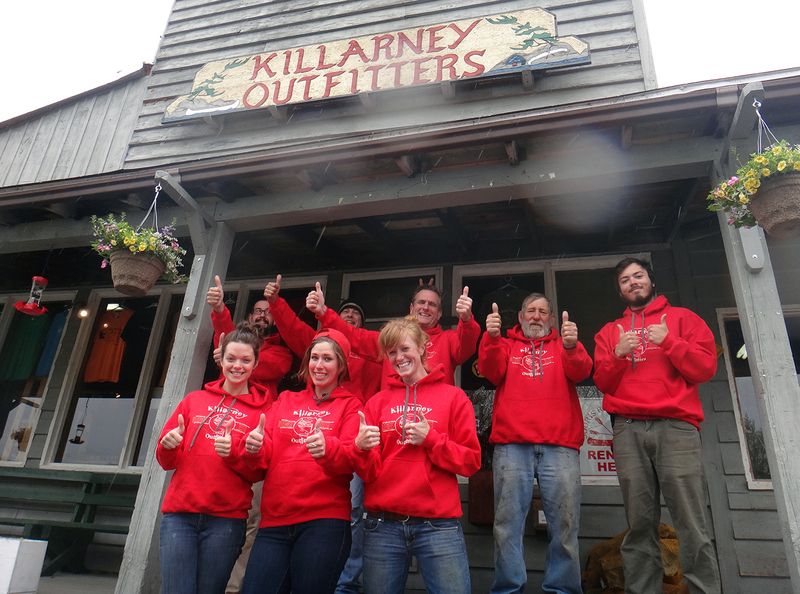 We are Killarney's Outfitter - est. 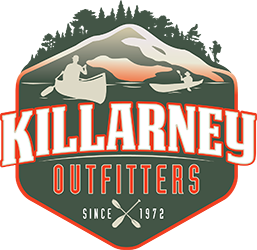 1972 - Join Us! 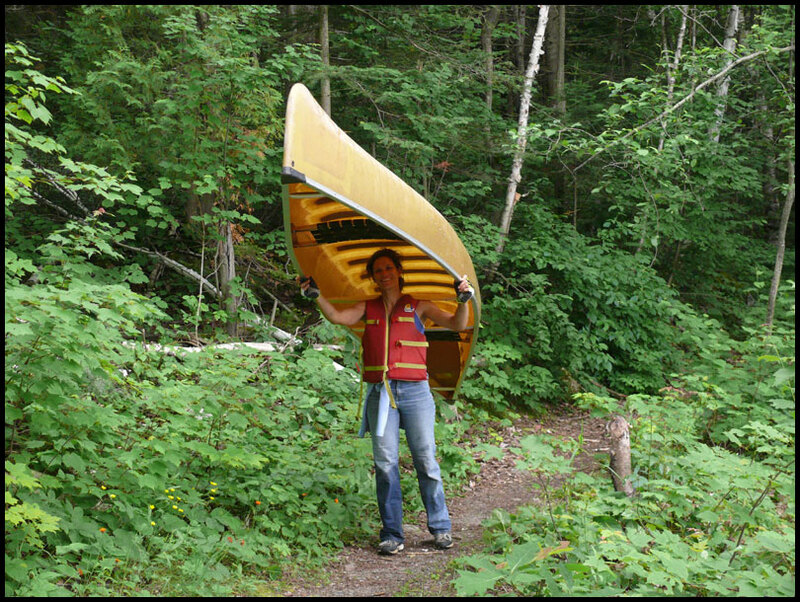 Best Summer Job Ever! 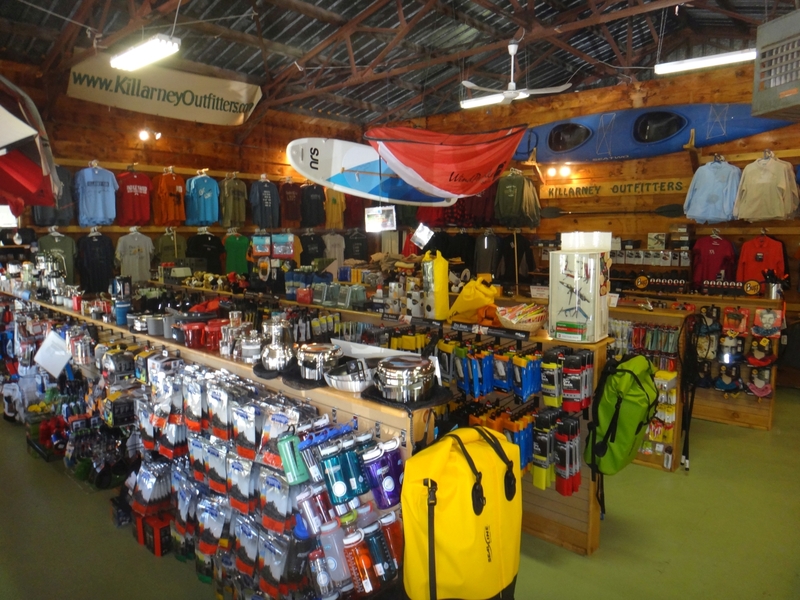 Providing Adventure for 40 Years! 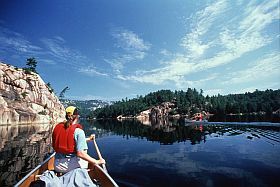 Killarney Provincial Park, Designation: "Wilderness Park ” is considered the crown jewel of the Ontario park system and is one of the most popular canoeing, hiking and kayaking destinations in Ontario. 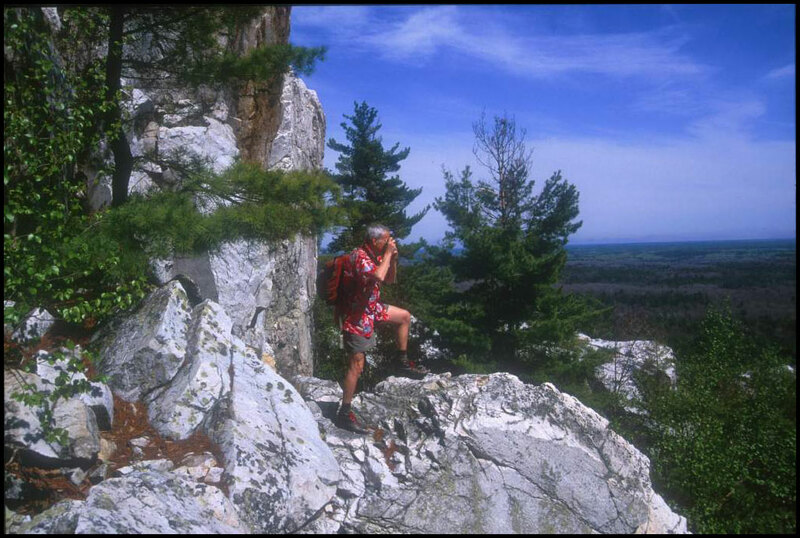 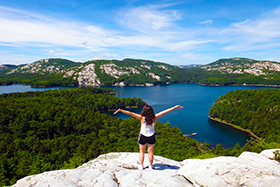 Its gleaming quartzite mountains, [Silver Peak 1765ft / 538m ASL] clear topaz lakes, hardwood forests, clinging pines and challenging trails make Killarney Provincial Park a very special preserved wilderness that you can explore and enjoy. 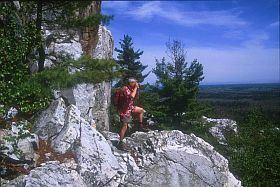 Abundant wildlife including many species of Birds, Beaver, Otter, Whitetail Deer, Moose, Bear, and Wolves (squirrels' everywhere) are frequently viewed. 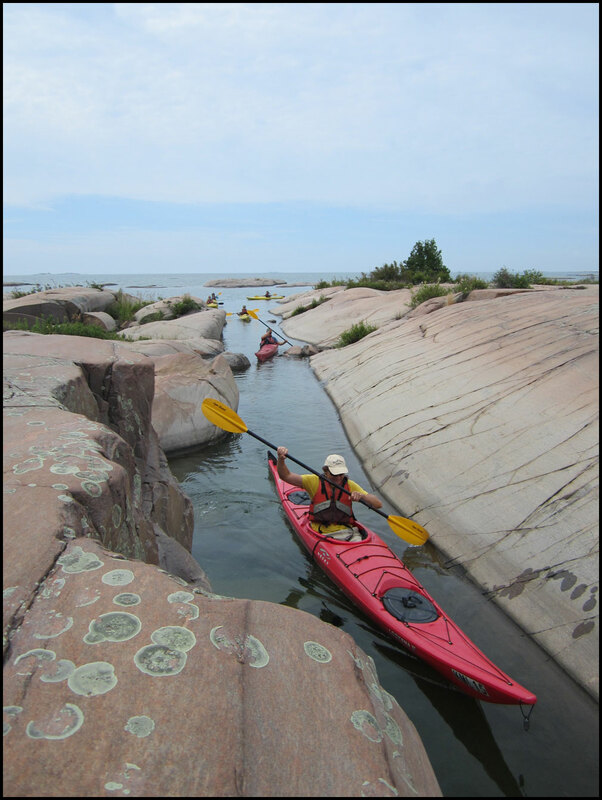 Phillip Edward Island and the Georgian Bay 'Littoral" are ranked amongst some of the worlds finest coastal expedition sea kayaking destinations, or canoe tripping for that matter...no portaging required! 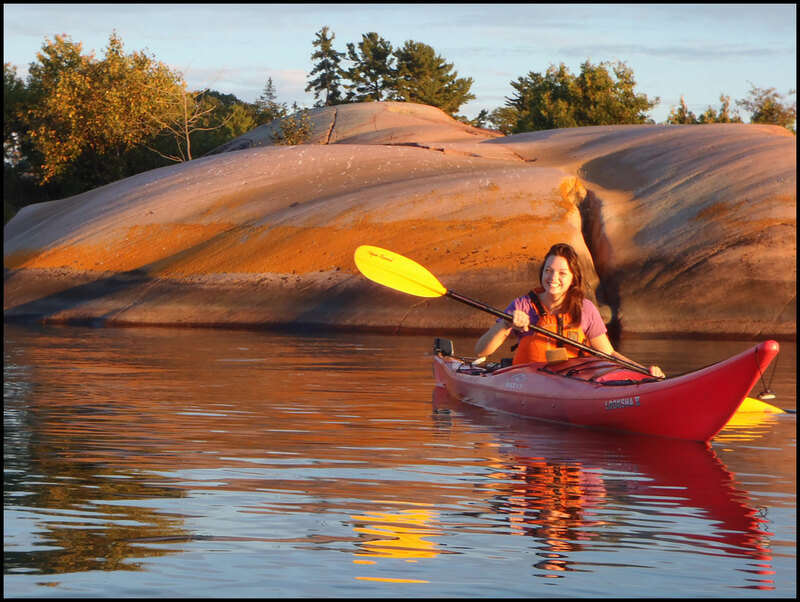 Also, the fishing here is the best on the Georgian Bay coast, large and small mouth bass, northern pike, muskie, rainbow trout, lake trout and lots of perch. 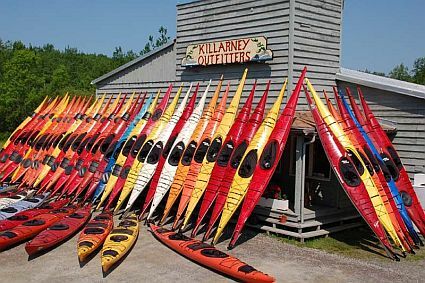 Killarney Outfitters has over forty years of experience steering visitors to the most desirable and sought-after canoe, kayak and hiking routes and trails within Killarney Provincial Park and Georgian Bay. 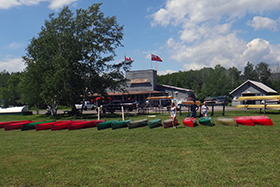 Novice or expert, Canoe, Hike or Kayak, we can point you to exciting and rewarding areas of the park and help make your vacation a memorable one. Killarney Outfitters offers all the equipment, expertise and advice you will need to plan and execute your trip. 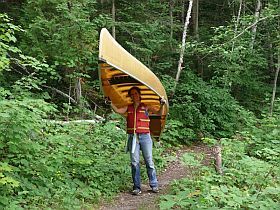 17' ultra-light Souris River Quetico kevlar canoes - Killarney Lake, Killarney Provincial Park. 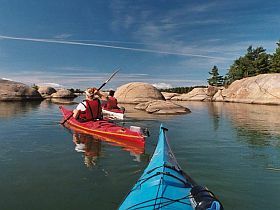 Stand Up Paddle Boards, at Killarney Park Main beach "George Lake"
Kayaks on the pink granite shorelines of Phillip Edward Island Killarney Ontario, Ranked: "Best fresh water kayaking in Canada"
Kayaks on the pink granite shorelines of Philip Edward Island Killarney Ontario, Ranked: "Best fresh water kayaking in Canada"
Killarney Outfitters Delivery Fleet - Dawn's Busted - Lets Go! 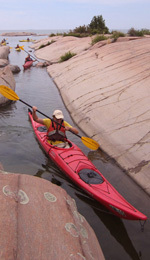 Call us today and we will make your next adventure happen!